Finnair have been doing some very reasonable deals to Asia recently. In fact, there is currently a sale going on which you can read about in this article. Given that you can fly direct from Heathrow with just one stop to Asia from about £1400, are Finnair a worthy replacement for Qatar without having to go ex EU? 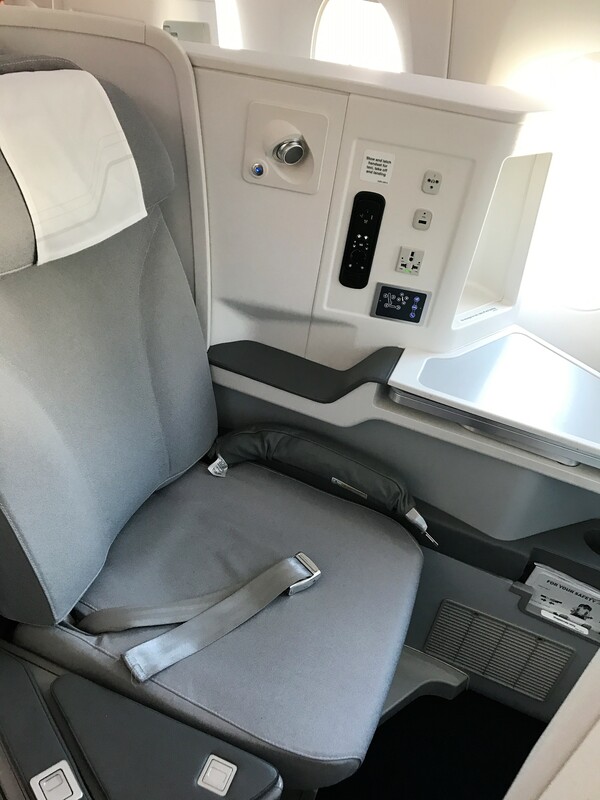 I decided to try out the seats on a short haul trip to Tallinn with Roving Reporter to find out. As I reported in this article, Finnair have been doing some great deals to Tallinn for around £200 in business class. This will get you 200 tier points very cheaply. Tallinn is also a lovely city for a weekend break. The flights route via Helsinki with a short 30 minute flight to Tallinn on either an ATR or E190. Finnair’s A350 operates daily on the London-Helsinki route as AY832 from London, and AY831 from Helsinki. 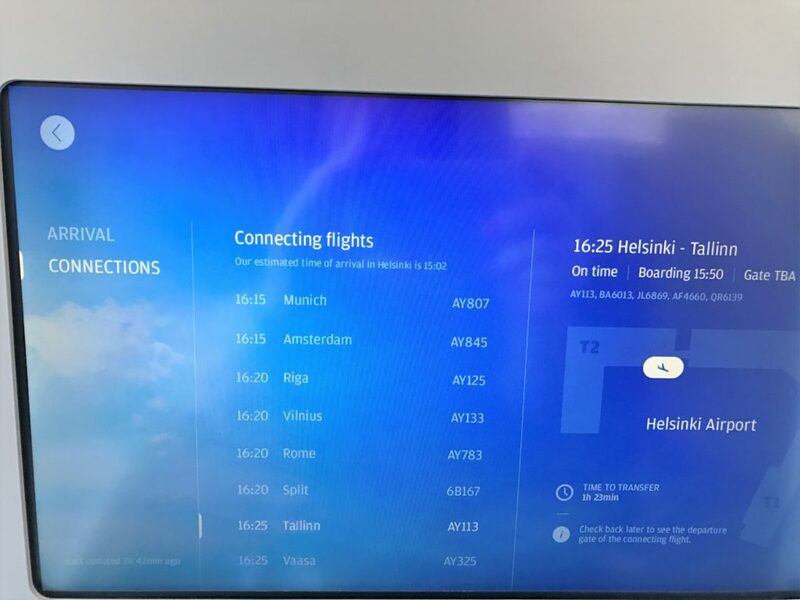 The flight from Heathrow is timed to offer a short connection via Helsinki Airport onto Finnair’s long haul A350 services to Asia. There is also a reasonable connection to Tallin, although the return is extremely early in the morning. You can currently fly from Helsinki on the A350 to Bangkok, Shanghai, Hong Kong, Beijing, Seoul, Singapore and Tokyo Narita. Finnair fly from Terminal 3 at Heathrow which has a great choice of oneworld lounges. As I had hand baggage only, I had already got my boarding pass on my phone, so I went straight to Fast Track security. There was no queue whatsoever, despite it being a Friday morning before the bank holiday. I was in the lounge in around 15 minutes from entering the T3 building. Roving Reporter had checked in bags and commented on how friendly the check in staff were, even pointing out that we were flying on a long haul aircraft. 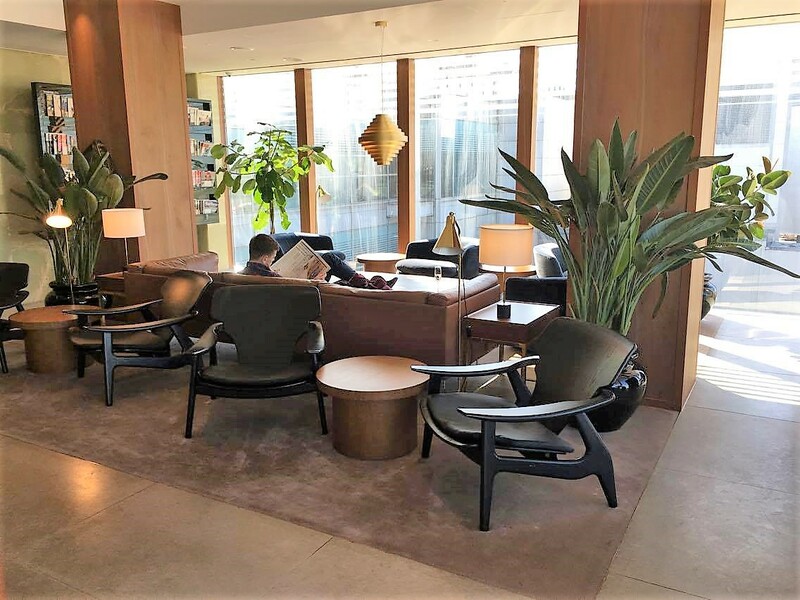 The official lounge for Finnair is the Cathay Pacific lounge, but you could also use the BA lounge which I will be reviewing shortly or the American Airlines lounge. I reviewed the Cathay First Class lounge yesterday and will review the Cathay Business lounge in the next week or so. Despite being a short haul flight boarding started very early at around 50 minutes before. There was the usual priority lane and boarding was done in an orderly fashion. Once onboard, the crew offered to hang my jacket and handed out ear phones. On a long haul flight you would get Bose noise cancelling headphones. There were no pre-departure drinks as it was a short haul flight but again, on long haul you would be served Nicholas Feuillatte champagne or a soft drink. 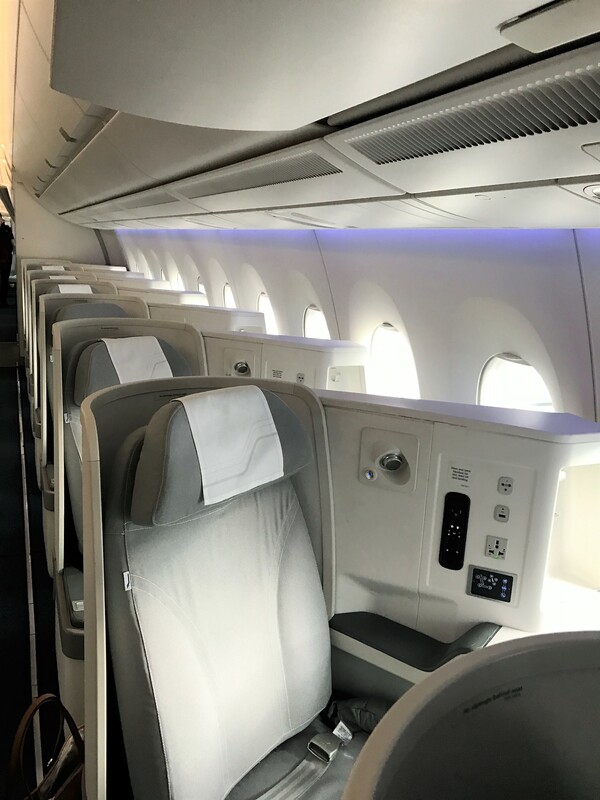 Finnair’s A350 business class cabin has a total of 46 seats spread across 2 cabins. They are very similar to Qatar in the Cirrus reverse herringbone configuration. I was seated in the front cabin which has 32 business class seats in a 1-2-1 configuration. There is also a smaller cabin behind. I actually preferred the front cabin as it felt more private with the more substantial bulk heads at each end. I was seated in 3A and did not hear any noise from the toilet or galley in front. If you are in a couple you may want one of the middle pairs, as it was impossible to have a conversation with Roving Reporter in 2A without getting up. The front cabin itself felt very light and airy as there were no centre overhead luggage lockers. There was plenty of room in the side lockers, despite it being an almost full cabin. The seat was slightly different to Qatar in its layout. Like many modern aircraft, the cabin features mood lighting. They even have a Northern Lights setting, although we didn’t see it on this flight. By the window there was a large shelf and multi-use plug socket, USB and headphone sockets. There was also a reading light, controls for the entertainment and seat. To the side by the window was a small cubby with a hook to hang your headphones. 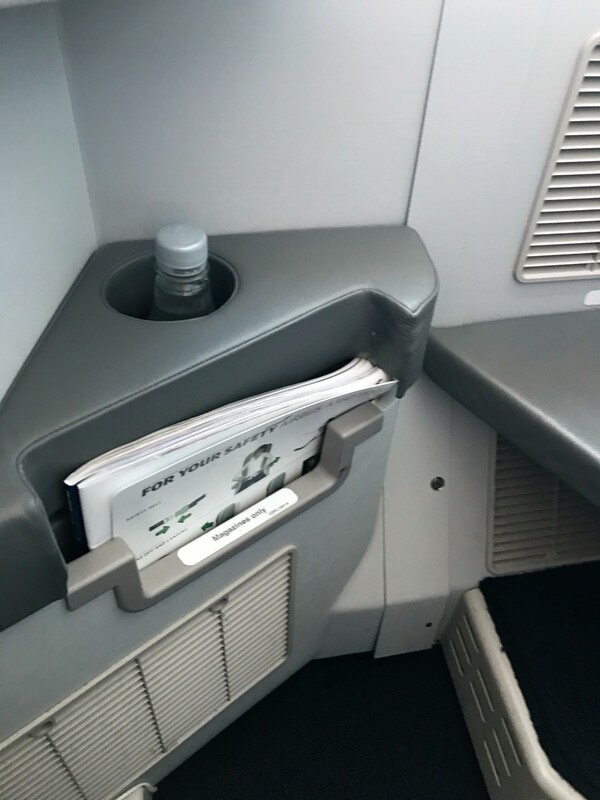 At the side there was a handy water bottle hole, as well as the usual magazine holder. There was also a handy area under the foot rest where you could store a few things such as shoes. The seat was easy to control and you could put your legs up on the footrest even in a fully upright position which is an improvement on BA. In terms of comfort, I would say the seats are less comfortable than Qatar, mainly due to the harder footrest and the seat itself when flat. The bed went fully flat but as you can see from the photos there was quite a gap between the seat and the footrest. there was also a very large gap between the top and bottom of the seat cushions when fully reclined. 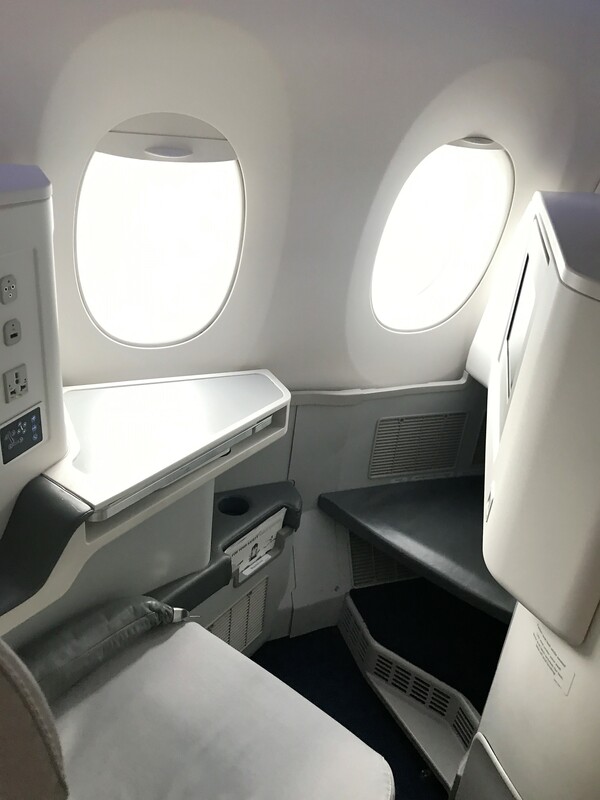 I found this similar to the BA seats in that if you are not positioned correctly with regard to the gaps, it can be uncomfortable. As it was short haul there was no amenity kit but you would get one on long haul. The long haul kit has ear plugs, eye shades, toothbrush/paste, Clarins moisturiser and lip balm. You also get slippers. The toilet was bright and modern with hand sensor taps. 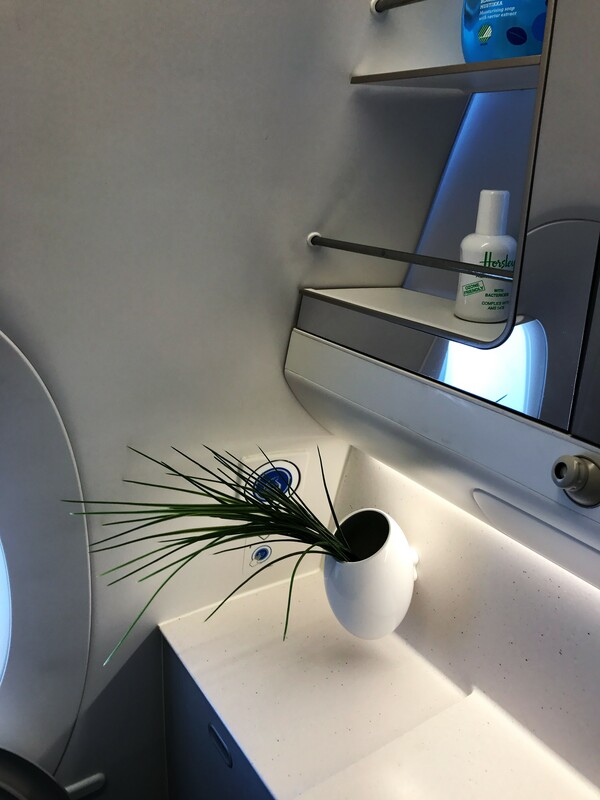 I liked the plant in the holder. The entertainment features a fold out screen with an excellent entertainment system. I have seen more choice on other airlines in terms of content. There was a selection of recent and older films as well as TV programs. I watched part of The Accountant which I planned to finish on the way back. The handset and screen were some of the best I have used in terms of responsiveness. I normally find most systems lag a bit. The screen was also large with excellent definition. 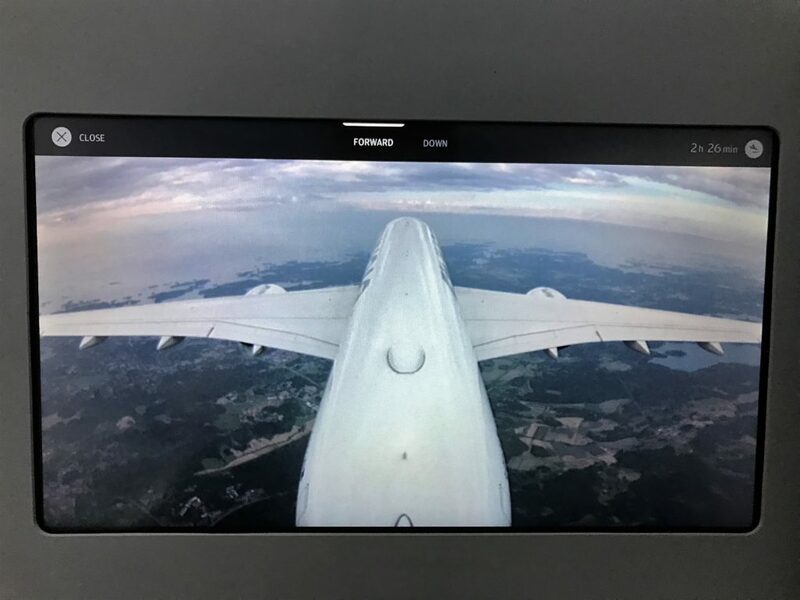 Nordic Sky is a bespoke IFE system for Finnair and had a number of features I have not seen often before. This was mainly information about the flight such as connecting flights with gates at Helsinki, what meals would be served and when. If you selected your connecting flight it would tell you how long you had to connect based on the predicted arrival time. I also liked the choice of 2 exterior camera angles to view the flight. Finnair also offers Wi-Fi on board and business class passengers get a code for free wi-fi via their screen. They also offer to free to Oneworld Sapphire and Emerald members. I didn’t really have time to use it on this short flight. Before lunch the crew came round offering hot towels, drinks and a large packet of bbq mixed nuts. I chose the Joseph Perrier Champagne, which I enjoyed more than BA’s Castelnau. One of the things I liked most about Finnair was the beautiful Iittala glasses that drinks were served in. You can buy these on-board at £25 a pair or in Helsinki duty free. Shortly after the drinks, lunch was served. There was no choice at all, so make sure you order a special meal if you have specific requirements. More drinks were offered and I tried the white Cotes du Rhone. This was in a proper glass bottle and was drinkable for a short haul wine. The lunch didn’t look particularly exciting but was more tasty than it looked. The starter was a white fish cake with a onion relish and dill. This was followed by Swedish style meatballs with chive mash and vegetables. There was no dessert, just a chocolate and tea or coffee. 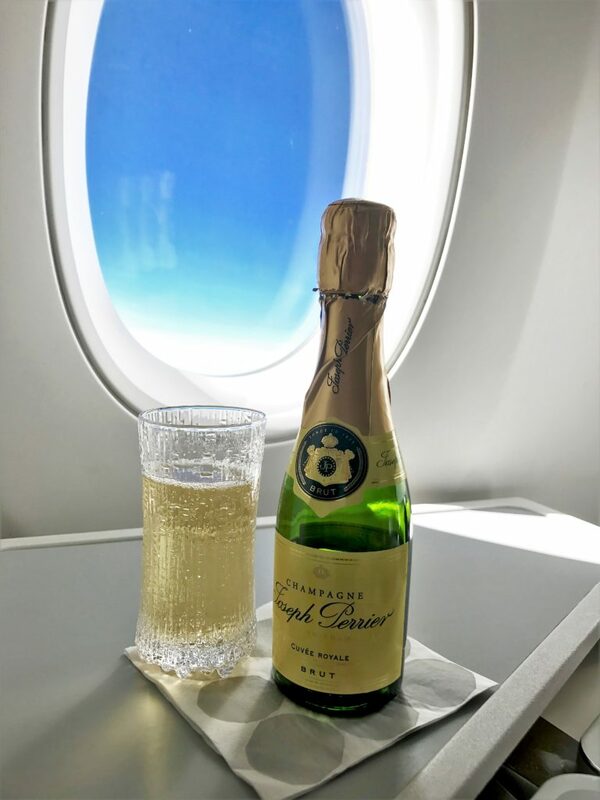 The crew continued to serve drinks throughout the flight if you wanted more. 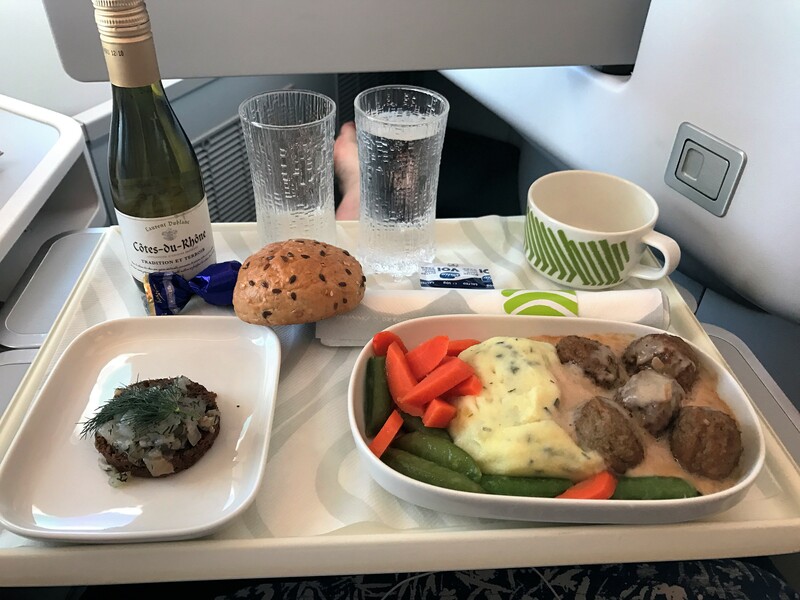 Overall I would say that BA’s new Club Europe would beat this on food in terms of choice, quality and quantity but Finnair won on wine and champagne. 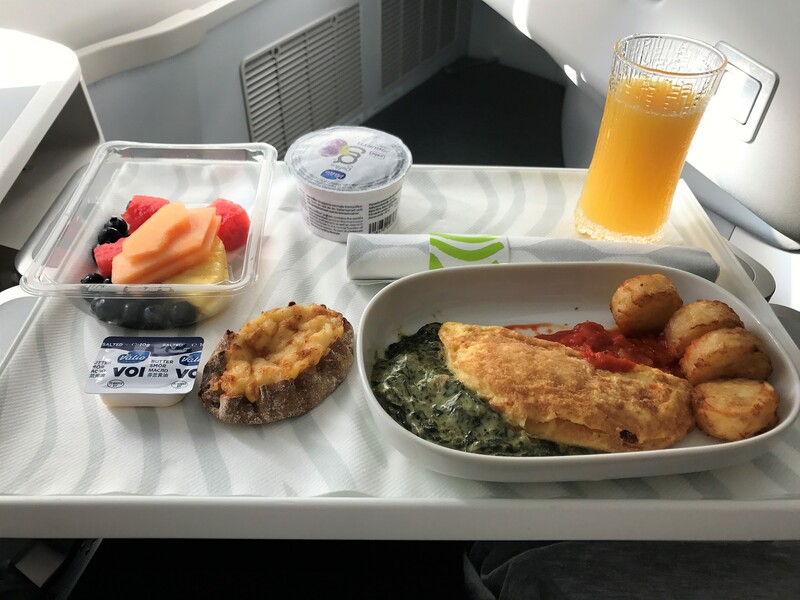 This was one of the best breakfasts I have had in the air, apart from Virgin’s full English. Despite the fruit salad being wrapped in plastic, this was a well thought out breakfast. with lots of attention to detail. Again there was no choice, which would have been difficult if you don’t like eggs. Champagne was available, or a bucks fizz, as well as the usual breakfast offerings of juice (including blueberry), tea and coffee. The main course was a very light omelette that was almost soufflé like in texture. This was accompanied by creamed spinach, a tomato sauce/relish and potato rosti. Delicious! There was also a substantial fruit pot, yoghurt and a selection of warm pastries offered. I tried the traditional Finnish Karjalanpiirakka (rice pie). This is rice porridge in a rye crust which was rather odd but you have to try everything once! I was impressed with the crew on this service. They were very professional and helpful, although slightly more reserved than BA crew. I shall be reviewing my lounges visits in Helsinki separately, but suffice to say it is a pleasant airport that is very simple to transit through. If you are flying to Helsinki itself and your preferred times coincide with the A350 service, it is a no-brainer for me to use Finnair. 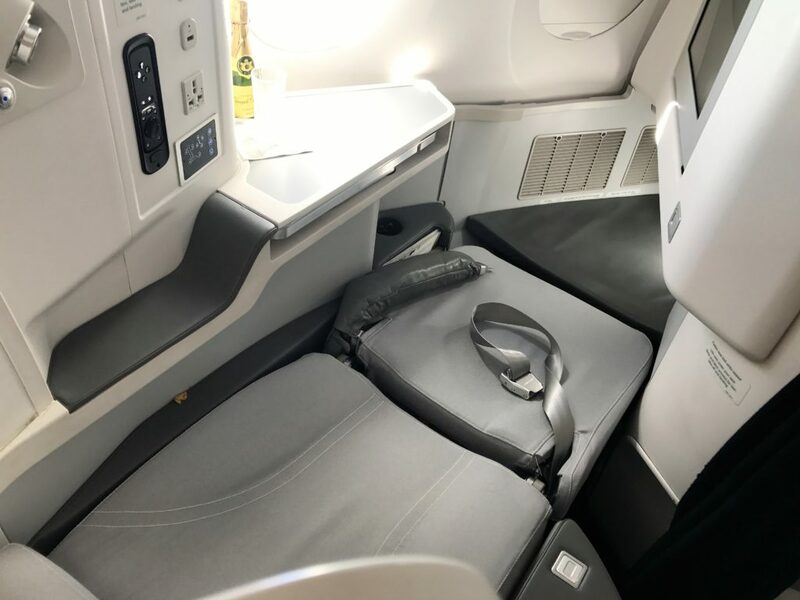 The seats are miles better than BA Club Europe as well as the on-board entertainment and Wi-Fi. You also get to use the fabulous Cathay lounge in T3 as well as getting the usual tier points and miles you would on BA. In terms of comparing it to Qatar long haul, Qatar is a clear winner for me. Although I only flew short haul, I did try and have a sleep on the way home due to the ungodly 6am departure from Tallin. I definitely did not find the seat as comfortable as the Qatar A350 and B787 seats for sleeping. The feel of Finnair is also not as luxurious as Qatar, although I did like the Finnair lounge at Helsinki (review coming soon). However, you have to factor in the additional time, hassle and risk of the ex-EU flights you would have to take, to get a price similar to Finnair out of London. 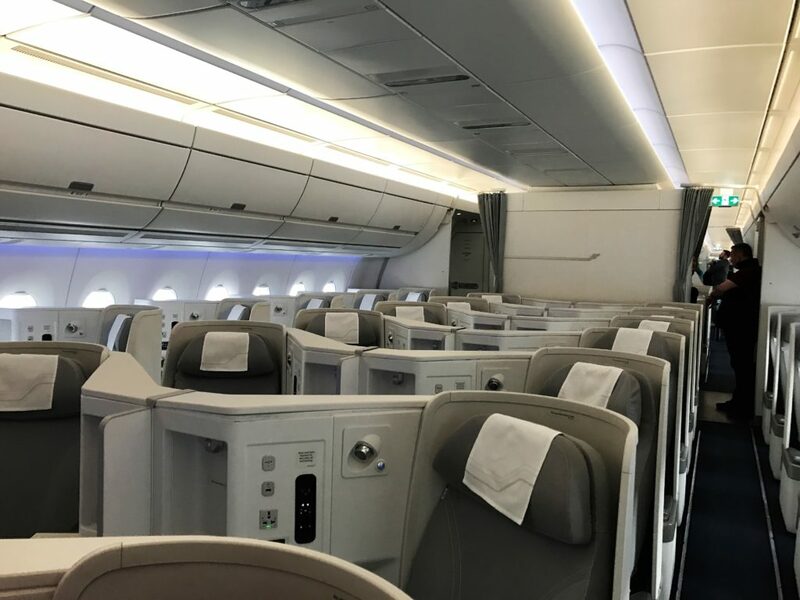 If the choice was between BA and Finnair on long-haul to Asia, I would go for Finnair for the modern aircraft and aisle access, extra tier points and Avios and cheaper prices. 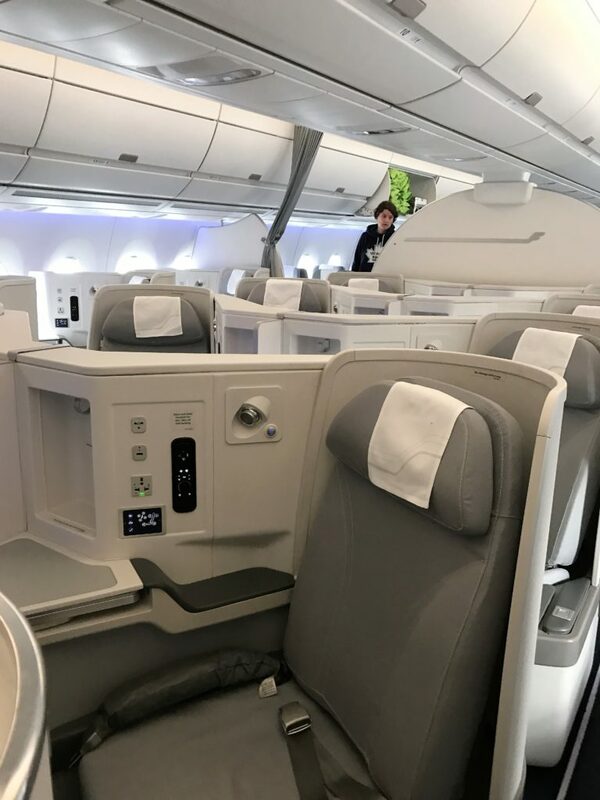 Be the first to comment on "Finnair A350 business class review – earn tier points and Avios too"